Losing weight can be a difficult enough challenge as it is, but being able to maintain that weight loss over time can be even more daunting. It is often very difficult for the body to adapt to new lifestyle changes like increased exercise and dieting; however, new research shows that there is a measurable timeframe, after which the body will adjust and accept the changes. Researchers at the University of Copenhagen conducted a study on obesity and weight loss and found that if a person can lose weight and keep it off for a year, then the body will accept the change. 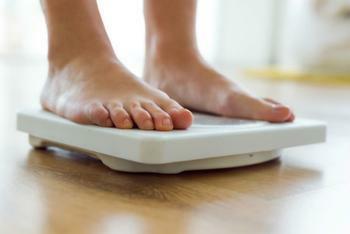 “This study shows that if an overweight person is able to maintain an initial weight loss – in this case for a year – the body will eventually ‘accept’ this new weight and thus not fight against it, as is otherwise normally the case when you are in a calorie-deficit state,” said Signe Sorensen Torekov, associate professor with the Department of Biomedical Sciences and Novo Nordisk Foundation Center for Basic Metabolic Research. But what exactly changes over the course of a year that allows the body to accept its new weight? Researchers concluded that the change is primarily hormonal, specifically with two appetite-inhibiting hormones called GLP-1 and PYY. Normally, when someone first begins to lose weight, a hormone called ghrelin spikes up and causes hunger; it’s the body’s way of reacting to the changes. GLP-1 and PYY levels are usually pretty low at this point. However, after a year of maintaining this weight loss, researchers found that GLP-1 and PYY levels actually get higher and ghrelin stays at normal levels; this translates to a person not feeling as hungry anymore, which, in turn, makes it easier to keep weight off. Obese people, in particular, have very low GLP-1 levels, but improvements can be made if they try to adhere to a healthier lifestyle. “We know that obese people have low levels of the appetite inhibiting hormone GLP-1. The good thing is that now we are able to show you can actually increase the levels of this hormone as well as the appetite inhibiting hormone PYY by weight loss and that the levels are kept high (=increased appetite inhibition) when you maintain your weight loss for a year,” said Eva Winning Iepsen, first author of the study. This research comes as good news to consumers who may be struggling to maintain their weight loss. Although it may be difficult for some time, the study shows that there will come a point when things get easier. “The interesting and uplifting news in this study is that if you are able to maintain your weight loss for a longer period of time, it seems as if you have ‘passed the critical point’, and after this point, it will actually become easier for you to maintain your weight loss than [it] was immediately after the initial weight loss. . . Thus, the body is no longer fighting against you, but actually with you, which is good news for anyone trying to lose weight,” says Torekov. The full study has been published in the European Journal of Endocrinology.